The blessed and holy island of the Virgin, the birthplace of many great contemporary Greek sculptors and artists. 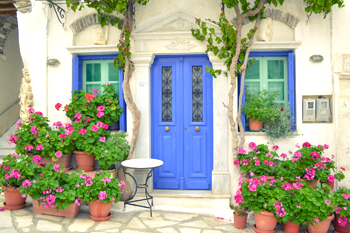 Tinos, with its 40 picturesque villages untarnished by time and man. With its thousand dovecotes, monuments to popular sensitivity and craftsmanship. With its hundreds of chapels nestled in ravines or perched on hillsides, characteristic examples of Cycladic architecture. With its surface 'cut' by dry stone walls stretching for thousands of kilometres which lend a unique plasticity to what is in any case a sensitive landscape. With its spotlessly clean shores, archaeological sites, museums and art galleries. Come. Because even if you visited sometime in the past to make a vow, you didn't really get to know it. You left on the same boat. 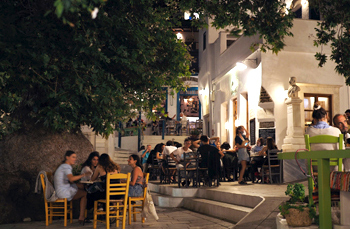 Tinos is the best known and - at the same time - the least known island of the Cyclades. It will be your own personal discovery. 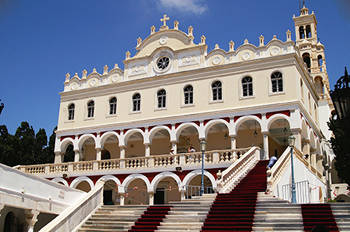 Tinos: Island of Faith and the Arts. The holy island of the Virgin (the miracle took place in 1823) and birthplace of many great contemporary Greek sculptors and artists (G. Halepas, N. Lytras, N. Gyzis, L. Sochos, D. Philippotis, et al.). The island with 40 exquisitely beautiful villages, which have preserved their traditions and architectural features, with hundreds of chapels and dovecotes, masterpieces of folk art perched on hillsides or nestled in the ravines of the island. A stunning landscape, its surface 'cut' by dry stone walls stretching for thousands of kilometres, a tribute to the hard-working nature of the local people, then when the island was entirely self-sufficient. 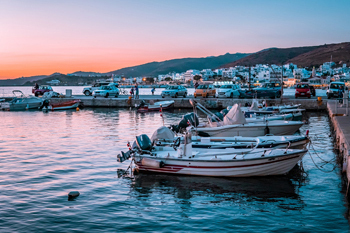 Tinos, with its 195 square kilometres, extremely interesting history and archaeological sites spanning 3000 years, its beautiful beaches extending for many kilometres and its secluded bays. The island with many caves and the unique landscape of Volax with millions of boulders scattered about. 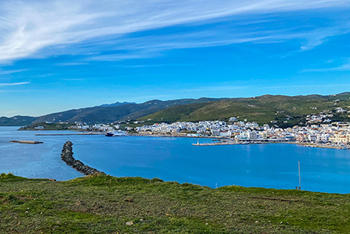 Tinos awaits you, so that you can ascertain for yourselves that what we say is far less than what you will see and experience when you visit the island. Don't hesitate. Rest assured that you will have made the best choice for holidays which will be unforgettable. Because the 'other Tinos', which has for so many years remained untouched by mass tourism, has preserved its traditional features just as its inhabitants have maintained their humanity.